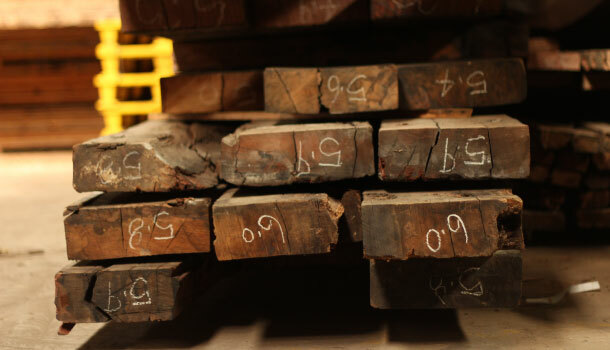 We’re specialists of recycled and reclaimed Australian hardwoods and we have a knack for sourcing local timbers with great stories. We produce a variety of high quality timber products for all kinds of commercial and residential projects, collaborating with our clients to realise their vision. We’re parents, which doesn’t just mean we’re sleep deprived. We’re conscious of the environmental legacy we’ll leave our kids so we make ecologically responsible choices in our business. 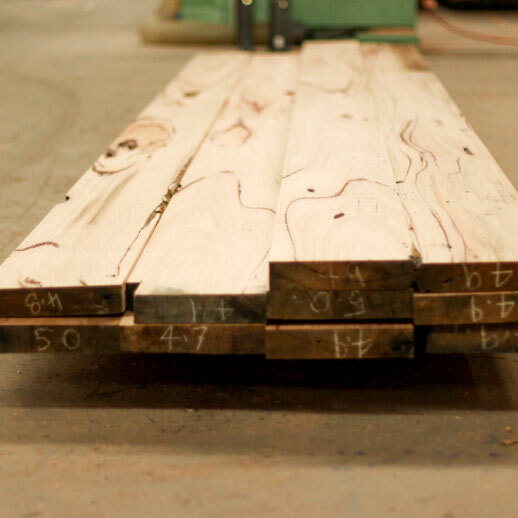 Sustainability is at the very heart of what we do and we’re proud to offer our clients the opportunity to make a sustainable choice for their project and minimise their footprint by using reclaimed and certified timbers. 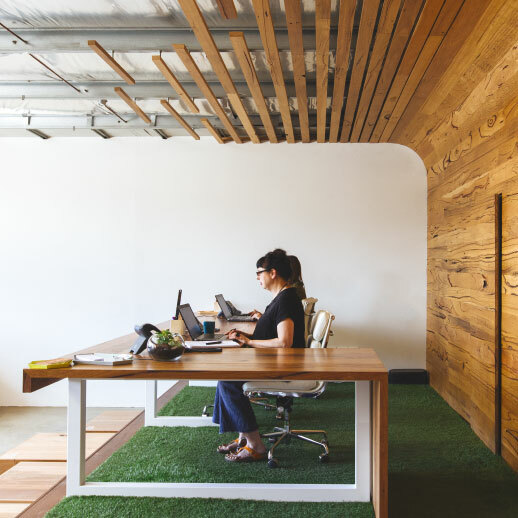 Aaron McKirdy and Bree Anastasi are the co-founders and Managing Directors of Timber Revival. 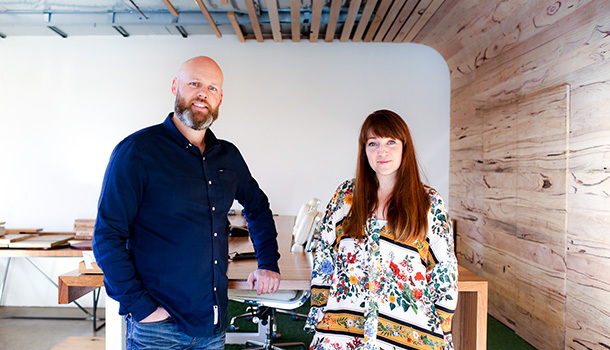 They’re also husband and wife, which makes them pretty crazy to take on working together and raising kids, but he’s passionate about timber and she loves good design, so it’s a partnership that works. Aaron completed his Diploma of Arts, Furniture Design and Construction from RMIT in 2001. 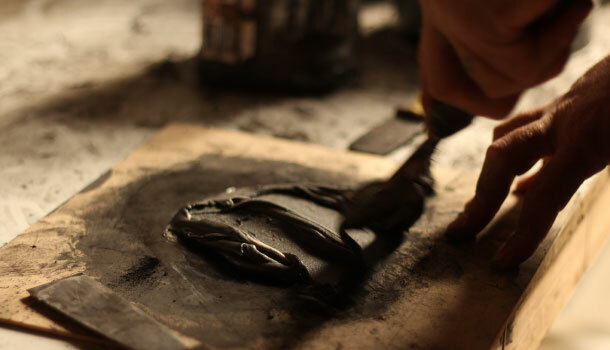 He produced bespoke furniture for 6 years before starting out in the recycled timber trade. Bree has worked in a variety of industries throughout her career, focusing on project management, operations and marketing. 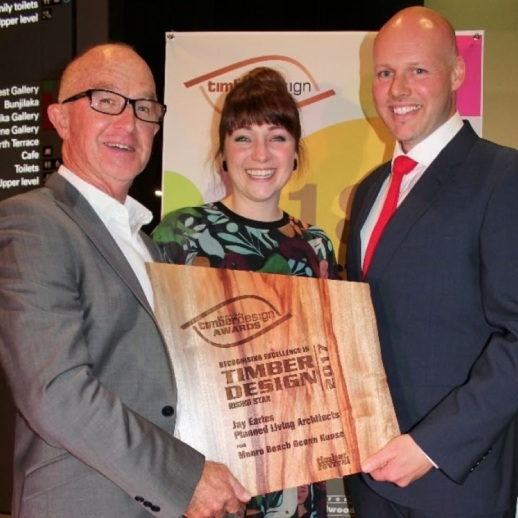 He and Bree launched Timber Revival in 2013 to share the beauty of recycled timber in homes and businesses around the country. We’re a small working team and a close knit bunch, and we’re proud of what we achieve at Timber Revival. We stand behind the product we produce and the service we offer. If it’s not up to scratch we’ll fix it. We value innovation, creativity and integrity. We do what we say we’ll do. Most importantly we value family, friends, and a good laugh, so if you’ve got a good joke please come in and visit, we’d love to hear it. The Australian Men’s Shed Association supports the development of community-based, non-profit, non-commercial ‘men’s sheds’. They provide of a safe, friendly and welcoming place for men to work on meaningful projects and to contribute to the wider community. 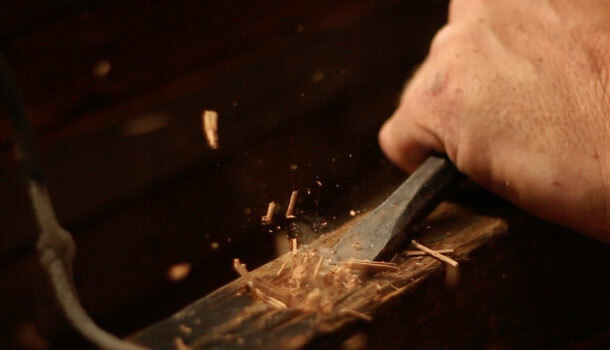 We donate timber to various Men’s Sheds around Melbourne. Please contact us if you know of a Men’s Shed that could use some timber. Western Chances give young people in Melbourne’s west the chance to fulfil their potential and overcome barriers to success by providing scholarships, opportunity programs and ongoing support. Since 2004 they have awarded over 5,700 scholarships. Every bag of firewood sold in our showroom is $5 their way. Wesley Employment Services helps job seekers who may have ongoing medical or mental health conditions, learning difficulties, an injury or disability. We value an inclusive and diverse workplace so we work with Wesley Employment Services to realise successful employment outcomes for jobseekers and our current employees. The Les Twentyman Foundation provides crucial support services for at-risk young people and their families. Their programs and services cover education-support, sports and recreation, counselling, personal development, life–experiences and employment pathways. There’s a lot more to us than meets the eye. Follow the links below for more information or contact us. We're proud suppliers of a variety of new timbers certified by the Forest Stewardship Council (FSC). Chain of Custody certification can be supplied. Read the Broadsheet writeup about our business and role in the community. Proud sponsors of the Australian Timber Design Awards, who promote and encourage outstanding timber design in the built environment professions. A not-for-profit website featuring thousands of pages of information about timber, building design and construction. We are proud partners of Wood Naturally Better, helping to connect people with responsibly sourced timber. 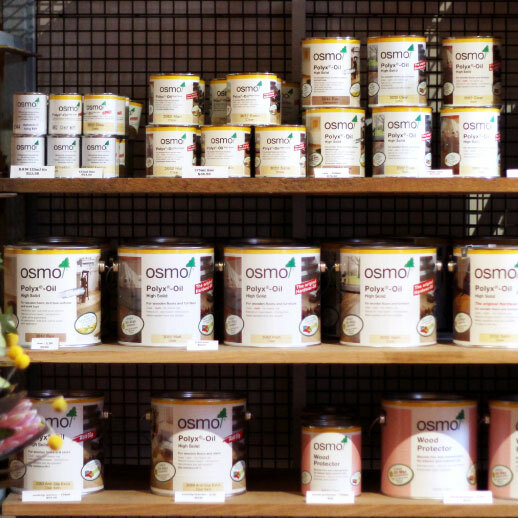 We’re huge fans and proud stockists of the all natural and eco-friendly OSMO range of timber oils and cleaning products.